The Travel Company Edinburgh is an award-winning independent travel agency of 25 years and our experienced team boast a combined experience of over 200 years in travel which means you are in safe hands. 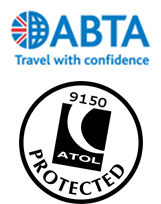 As an independent agency we can offer a personalised, professional and bespoke service for all your travel requirements. We go to great lengths to ensure that we offer excellent value for money with access to some of the best deals in the industry through our membership of the Advantage Travel Partnership. Please find out more about our team below. Ken bought The Travel Company Edinburgh in 1992 and has developed it in to one of the leading independent travel management companies in the UK. Ken's passion for travel and quality service helped us to win Honeymoon Planner of the Year at the 2014 Scottish Wedding Awards. Ken has worked on the committees of ABTA, the Scottish Passenger Agents Association and the Focus Partnership. Ken was also a Director of the Advantage Travel Group and is currently UK Chapter President of the American Society of Travel Agents. Ken's love of travel first started to flourish when he spent a few months in Morocco in the 1960s and has since travelled to over 200 destinations. Hazel became a director of the company in 1993 and manages Human Resources and Quality Control. Hazel is a qualified Pharmacist and worked for Boots for almost 40 years as a manager of some of their largest Scottish stores. Hazel is a very keen traveller and one of her favourite trips was to the Galapagos Islands. This year she has trips to Marrakech and Bodrum booked already. Angelina joined The Travel Company Edinburgh in 2010 and has a true passion for the travel industry. As General Manager Angelina is in charge of the day to day running of the business but also organises meetings and events across the world for her clients. Angelina's passion for the travel industry began when she joined Gleneagles Hotel in 1998. Angelina loves luxury hotels and can often be found carrying out site inspections even when on holiday! Catherine is our holiday and honeymoon planning guru. Catherine's career in travel started in 2005 when she joined Thomas Cook as a travel consultant and she became an overseas holiday representative in 2007. Catherine has worked in Salou, Lanzarote, Tenerife and Kos so has lots of knowledge of these destinations and has experience of assisting with weddings abroad. Since returning to the UK in 2010 Catherine has focused on luxury leisure travel and honeymoon planning. Catherine loves travelling and visits new and exciting destinations around the world. She travelled to Jamaica recently where she spent a week visiting all the Sandals & Beaches resorts on the islands. Irene works in our Accounts Department and joined the team in May 2014 bringing with her lots of accounts department experience having worked in accounts for leading hotel chains and property management companies. Irene regularly travels to Canada as she has family there, hobbies are Walking swimming and socialising. Alistair joined the team in January 2014. He is currently studying Business Management Accountancy with the aim to graduate with a degree. He is also involved in setting up and testing new systems along with daily accounts administration. Alistair is a big rugby fan and can often be seen cheering Scotland during the six nations. Alistair takes advantage of the great 18-30 holidays available and with Catherine's knowledge of planning these fabulous trips he gets to go to some great places. James has worked in business travel since 1999 and joined our team in 2014. James has recently moved into an account management role which will enable him to use his knowledge in the travel sector to benefit both new and existing clients. He is always looking at technologies to help improve our services and enjoys the challenge of implementing these. James' holiday destinations tend to be determined by his children's preferences he does however enjoys European breaks. Larraine is another member of our team who boasts over 30 years' experience in the travel industry making her a fantastic asset to our team. Larraine works part time though she regularly attends evening events hosted by partners such as airlines to further her knowledge and gain new contacts. Larraine holidays every year in Ardnamurchan ( the Lighthouse is the most Westerly point on the UK mainland ) with a large group of her family and also enjoys many short breaks throughout the year including trips to Copenhagen, Barcelona and Portugal and most recently Mexico. Brooke joined the Travel Company in June 2016 after working for some time in leisure travel. Now as a business travel consultant with almost 9 years’ experience in the industry, Brooke is a knowledgeable member of the team who can find the most effective travel solutions for our Business Travellers. Since joining us, Brooke has enjoyed some exciting work trips herself such as Shanghai and Oman. Claire graduated from Edinburgh Napier University with a degree in Tourism and Airline Management and after this she began her career in travel with Thomas Cook fulfilling leisure travel bookings. She has joined us pursuing a career in Business Travel, combining her knowledge from her degree with her leisure travel experience. She loves her holidays and her favourite destination is Las Vegas being number one on her list of holiday recommendations! Her dream is to travel to Australia and visit the Gold Coast. ​Erika recently joined the team in June 2018, she has worked in travel since 2016. She has travelled extensively through Europe. Last year she took the El Camino pilgrimage in Spain and is looking forward to new challenges ahead. Her dream is to visit all the continents and is planning her adventures for the coming year.